Lots of writing this week, thanks to our trip to Seattle. Most of the writing was on The Zombie Book, pushing the total word count of the first draft past the 52,000 word mark, but I also outlined a new story that I’m very excited about writing – tentatively titled The Last Book. 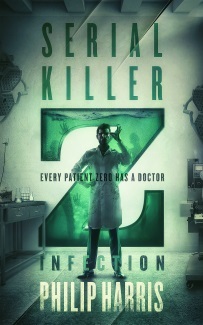 I’ll probably take a quick break from The Zombie Book this weekend to write the first draft of that one. Assuming it’s not too hot in the apartment. The low-ish word count on Saturday was down to Cherie Priest. Or more specifically, her latest book – Maplecroft. I’ll be posting some more thoughts on it later this week but the short version is – very good. 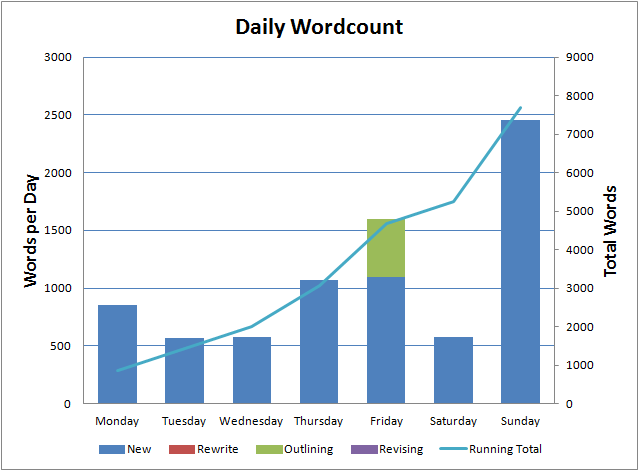 So, another week where I’ve averaged over 1,000 words a day and a week that pushed me past the 200,000 word mark for 2014. Which means, I’m already over 30,000 words ahead of last year’s total word count. In fact, I’m over the combined word count for 2012 and 2013. It’s a bit misleading because I wasn’t writing regularly during a lot of that time but still, it puts me well on track for a stellar year. No training this week, I’m recovering from the marathon, so in theory I have extra time for writing. But it’s also new season time and there’s a few shows I want to check out (Gotham, Scorpion) and some returning favourites (Supernatural, Utopia, The Big Bang Theory). There’s some very interesting movies on the horizon too (Gone Girl, Boyhood, The Judge, Men Women and Children) and of course, about a thousand unread books.